John Battersby is chair of trustees of the Canon Collins Educational and Legal Assistance Trust. He is a former editor of The Sunday Independent and Southern Africa correspondent of the New York Times and The Christian Science Monitor. Brendan Boyle combined his formidable reporting skills, honed during more than two decades with Reuters, with his formidable network of contacts to become one of the top political journalists. But he remained the most modest and kindest of people so his name was never up in lights. He just got on with the task at hand. In June 2018 I had an enjoyable lunch with Brendan Boyle at a restaurant in Waterkant Street, Cape Town. I was struck by the stoic way he was dealing with his serious condition which had been diagnosed nearly a year earlier. He was continuing with his interests and projects and was so pleased to be reunited with his wife, Loesje who played a crucial role in sustaining him during his illness and his treatments. Brendan’s calm determination and courage in fighting the disease was a measure of the man, the journalist, father and friend. His love for his sons Jordan and Jed was palpable. I was looking forward to seeing him again in June this year. But that was not to be as he died, aged 68, this week. Brendan and I cut our teeth as reporters at The Argus in Cape Town in the mid-1970’s. So we were celebrating a friendship which spanned more than 40 years. I read from the writings of the Indian teacher Krishnamurti at his wedding at Monterey School in Cape Town when he married Loesje around that time. We then headed in different directions. He and Loesje set off for Amsterdam to work for UPI (Loesje is from a Dutch family) and I set off with my family for London to work for the Rand Daily Mail office there. But he and I kept in regular touch over nearly five decades and was one of my oldest friends outside of school. Apart from being one of the most loyal and steadfast friends I have had Brendan was a professional journalist of the highest order: utterly dedicated to getting the story right and leaving no stones unturned. When he and Loesje returned from the Netherlands I had just returned from the London office and joined the New York Times and later the Christian Science Monitoras their southern Africa correspondent. I somewhat envied Brendan’s position as Reuters correspondent in Cape Town (1989-1997) at a critical phase of the South African story. And I frequently turned to him for the latest take on a story or to check contact details. His Reuters training ensured that he was always abreast of the news as it happened and he soon gained a reputation for being ahead of the other news agencies. He did Reuters proud and became indispensable to the organisation which led to his appointment as the Reuters Bureau Chief in South Africa (1997-2004). He won the highest respect from his fellow Reuters colleagues – writers and photographers – as they have testified in moving tributes to Brendan including from Marius Bosch, Eric Miller, Mile Hutchings, Gill de Vlieg, and Anton Ferreira. Brendan embraced the spirit of Ubuntu in a way that I have encountered from few others. He loved the craft of journalism and took joy in seeing others embracing it and reaching for the highest standards of reporting. I have met and been told of many young, black journalists who he reached out to and who have only the highest praise for his dedication to his craft and the wisdom they gained from being mentored by him. “He was highly regarded in media and political circles for his incisive grasp of policy issues, particularly economics,” said City Press editor Mondli Makhanya, former editor of the Sunday Times. Brendan was a perfectionist and he treated his small recorder as an extension of his right hand in the same way as many do today with their smart-phones. As the parliamentary correspondent for the Johannesburg Sunday Times, editor of the Daily Dispatch and then back as associate editor of the Sunday Times, Brendan did some of the most impressive insight and analysis which became “must reads” if you wanted to get behind the news. 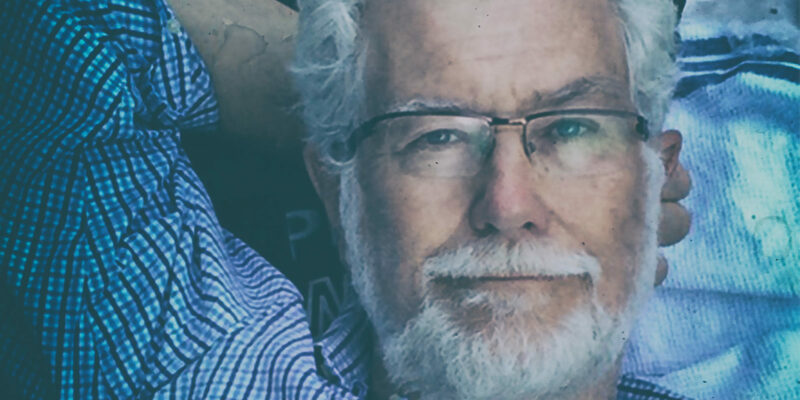 “He was the most informed, honest and thorough journalist I ever dealt with while serving in the Mbeki Presidency,” said veteran former Cape Times editor and author Tony Heard. Brendan acknowledged and recognised the humanity in others and he had a gentle touch. He would let the countless interviews that he did tell the story and would get across the message without any overt judgements and invariably without offence. Brendan combined his formidable reporting skills, honed during more than two decades with Reuters, with his formidable network of contacts to become one of the top political journalists. But he remained the most modest and kindest of people so his name was never up in lights. He just got on with the task at hand. “He was a singular example of integrity,” said Pippa Green, a respected journalist, editor and biographer. The saddest moment in his career, and one from which I am not sure that he ever recovered, came in 2013 when his aspirant candidacy for the Democratic Alliance (DA), was leaked to the media and led to his suspension from his senior post at the Sunday Times and effectively ended his journalistic career. Brendan did eventually manage to pick himself up and got a new lease of life going out into remote rural areas of the country to find out more about these communities as a senior researcher for the Land and Accountability Research Centre at UCT, headed by land guru Aninka Claassens. These excursions gave Brendan a new focus and energy and he would share the cutting-edge insights he gained on these trips with a glint in his eye and a tweet. Twitter had long been his main medium for getting his message out and his stories read. When I was grappling with the complex set of legislation governing traditional tribal lands and recalibrating the powers of tribal leaders, I would visit him at his office in the mid-campus at the University of Cape Town. And he would give generously of his time sharing the amazing experiences he was having interviewing youth leaders in far-flung mining communities in the north of the country and imparting valuable insights into another South Africa which has little to do with Parliament and the Union Buildings.